By connecting different data silos, Silot creates a powerful one-stop platform that heightens efficiencies and supports new capabilities. Renowned angel investor and founder of Zhenfund, Xu Xiaoping, along with Asia's largest fintech-focused venture capital, Arbor Ventures, have invested in Silot. 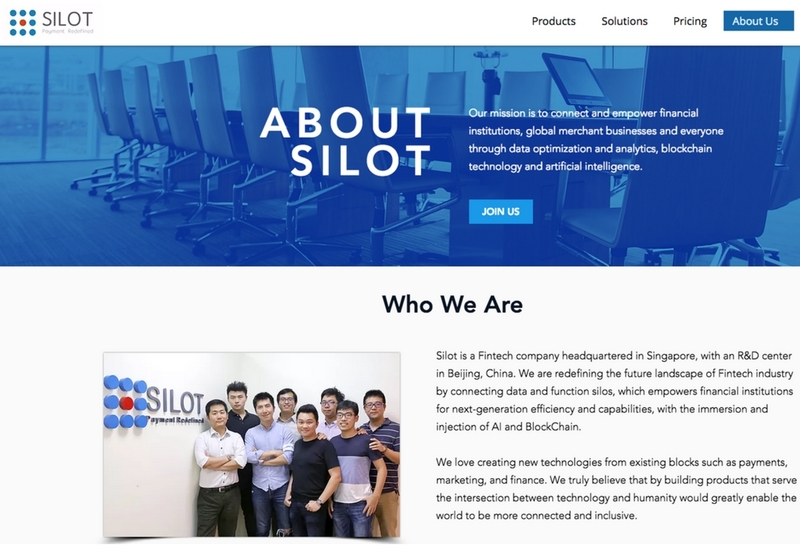 Silot, the recipient of the VISA ‘People's Choice Award’ and the Unilever ‘Foundry 30’, aims to expand its footprint in Thailand, Australia, Malaysia, and Hongkong. Silot provides a banking platform that enhances innovation and accelerates the growth of financial institutions through a proprietary, benchmark-setting fintech product. The company derives its name from what it does: connecting different data silos – payments, onboarding, operations and anti-fraud/anti-money laundering (AF/AML) – with technology, thus improving overall efficiencies and capabilities. Founded in Singapore in March 2017, it bagged seed round by ZhenFund. In May of the same year, it rolled out the beta version of Silot Merchant Management Suite, and in June, it began supporting Alipay and WeChat Pay with the Silot Payment Engine. Shortly thereafter, it released its AI Merchant App in Apple and Google Play stores. It didn’t take long before Silot Thailand started supporting Prompt Pay, and Silot Singapore that of one of the city-state’s largest e-Payment providers. This was followed by a partnership with a Thai bank, a Malaysian bank, and Visa. The remarkable short time it took the company to win big-ticket clients attracted further investments from Arbor Ventures and 8 Roads Ventures (Fidelity Capital Investment), paving the way for the launch of the second-generation Silot Merchant Suite with Self-onboarding and auto-KYC in Australia, and the Silot Merchant Suite for Prompt-Pay in Krungsri Bank, supporting 60k of merchants in Thailand. Silot’s strengths are built on strong market know-how, and the ability to engage and partner with well-known financial institutions through its end-to-end products and technological integration. 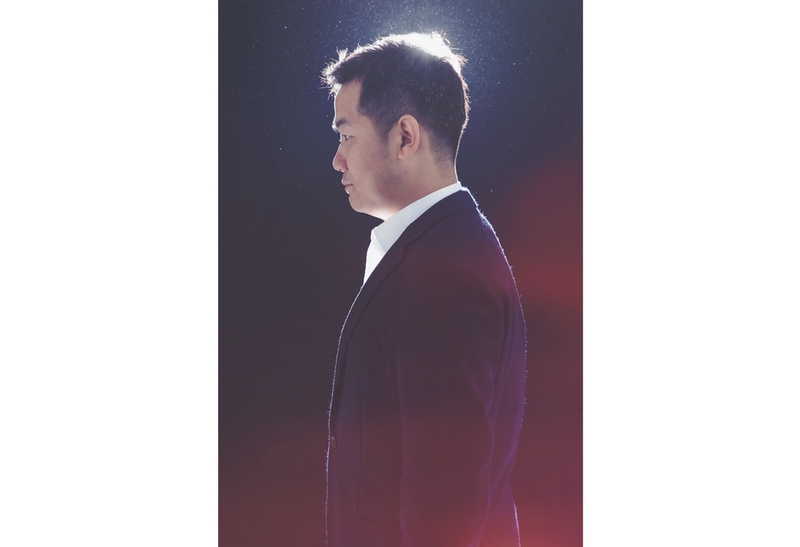 Wei Hopeman, co-founder and managing partner of Arbor Ventures, and former head of Asia for Citi Ventures, Citigroup’s strategic venture fund, believes Silot “will play a leading role within the fast moving, dynamic developing of mobile payments and new technology adoption in South East Asia and potential around the globe”. 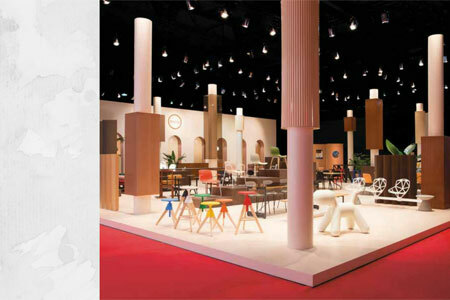 Portfolio sat down with Andy Li, the very amiable head honcho of Silot, for an exclusive interview. Portfolio: Silot was founded in Singapore and has quickly engaged major financial institutions in the region. Why the focus on Southeast Asia? Andy Li: From personal point view, South East Asia is like a second home for most of our cofounders, having either education / professional experience in the region. We hope to build on our China and US fintech market know-how and combine that with surging market demand on more efficient fintech solutions. From a commercial perspective, Financial Institutions (FI) will increase their investment in digital tech solution to drive further efficiency. Financial technology (Fintech) has gained popularity in SEA, disrupting or replacing conventional banking mechanisms, which in turn has fuelled rapid growth and investment in Fintech. What is the state of fintech adoption in the region and why does it draw you to these parts? What kind of growth are you expecting in the near-term? Investment in fintech in Singapore hit S$83.3 million in the second quarter of 2017, according to KPMG. To retain long-term competitiveness, and to adapt to evolving customer needs and behaviors, it is imperative for FIs to upgrade their current banking infrastructures. The area saw the greatest number of fintech deals in 2016. Of the total 71 investment deals closed in the year, over half of them went to Singapore-based startups. There is huge potential – I would say at around 15 per cent to 20 per cent year-to-year growth – to drive cashless initiatives from embryo to fruition. The reason why we choose Singapore as our headquarters is because Singaporean government has been very friendly to startups with many attractive supporting programs and Singapore as a financial center is a great place to build settlement related business with full spectral support from its regulations to infrastructures. Among your goals is to help prepare banks for next-generation efficiency and security. Give us your reading of the current scenario, and tell us how Silot can help banks prepare for new demands from clients and merchants. In the past decades, banks have been building their functions by silos, requiring specialists to operate and maintain these, which becomes very slow on responding to new demand. For example, when a bank's consumer clients or merchants are looking for new QR code payments, the bank will have to build a new system for each new payment, and each system requires a separate team to operate and manage, which is very costly and inefficient. Silot Banking Platform is designed to optimize existing banking infrastructures through connecting different payment silos, on-boarding silos, management silos, and security silos, enabling any new payments is just one click away for the bank; the operation and management of these payments and all the merchants are also unified in one platform. Our platform will reduce up to 80 per cent of the operation time and manpower, and bring three times, or even faster, merchant on-boarding to the bank. Marketing is one big area where new growths and innovations are being realized. How can Silot help improve the marketing capabilities of merchants? Through the Silot Merchant Suite (SMS), banks and merchants can work together to customize marketing promotional coupons according to the specifics of the merchants’ target market such as country, consumer age, consumer spending patterns, price points, and others. Once the coupons are created, the SMS will publish these coupons to Silot’s third-party consumer app partners. The relevant third-party consumer apps will display the merchants’ coupons and the consumers can discover these coupons and proceed to redeem them directly at the merchant stores with the digital payments of their choice. The SMS utilizes machine-learning to help merchants promote their businesses directly to end users through the mobile apps that they’re already using, by matching the offers from merchants to the direct consumers with the specific consumer profiling. This superior marketing feature allows the merchants to directly quantify their marketing investments based on coupons redeemed from the traffic driven to their stores. You also mentioned empowering banks and merchants for next-generation financing – what solution does Silot have for this? Through the SMS, merchants are able to analyze their digital payments business transaction data on real-time basis, through the Silot web and app dashboards. This helps the merchants to better understand their business using deep data analytics so they can be aware of the latest development within their business and to facilitate the necessary changes. As business costs escalate, different merchants would have different cash positions and requirements. Banks are able to utilize the SMS to gather comprehensive merchant profiling and will be able to offer financial products such as shorter settlement cycles as well as pre-approved loans to merchants through the SMS. The Silot Guardian is among your most interesting platforms. What are its key features, and how is it able to help banks in their various activities? Silot Guardian (SG) is a unified anti-fraud and anti-money-laundering system provided for banks to safeguard both on-boarding and transactional activities. A supporting function built in our Silot Banking Platform, SG can fully utilize the platform's connection and leveraging of new and legacy functions, and data sources, to bring a truly 360-degree AF/AML engine for both payment and on-boarding. Traditional payment and on-boarding AF/AML is split into separate payment channels, which would easily lead to the scenario where ‘a customer is a high-risk profile in payment channel A, but such risk has not been addressed in payment channel B, C, D’. SG can easily identify such scenarios and ensure the AF/AML across all payment channels is well connected. • Silot Payment Engine - A unified payments engine supporting major payment methods (both legacy card payments & new mobile payments) in the market. • Silot Merchant Suite - A unified merchant on-boarding and management platform applicable for merchants across all payment channels. • Silot Guardian – A unified Anti-Fraud and Anti-Money-Laundering system built to safeguard both on-boarding and transactional activities across all payment channels.